Log wooden houses are not comparable with anything in their attractiveness and originality. But wood is prone to collapse. Only a well-performed felling treatment can eliminate this destruction. 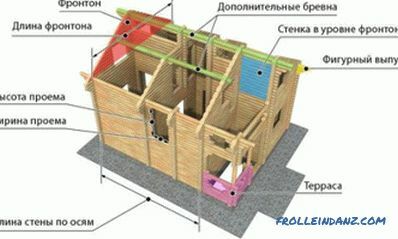 The main elements of the wooden frame in the section. The log walls of the bath house attract attention with beauty and at the same time are practical, retain heat and are quite easy to make. The impact of the environment in the baths greatly reduces the reliability of any material. Processing both from the outside and from the inside of the bath increases its durability. 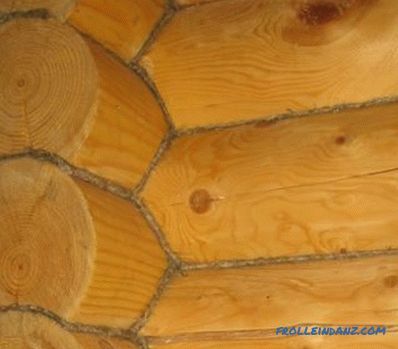 Solving the problem of how to handle a log house will avoid many problems. Wood is a highly flammable material. 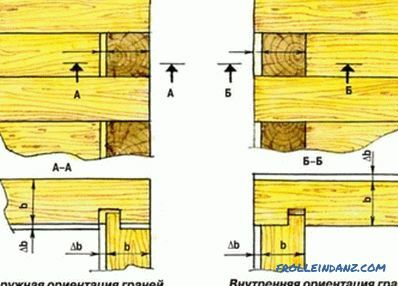 In this regard, there is an urgent need for the processing of a wooden frame. The first processing requirement is to increase fire safety and fire resistance. The outer side of the log house is in the open air. All adverse natural factors (direct sunlight, low and high temperature, precipitation) have a strong influence on the properties of wood. Under such an effect, fungi and mold develop actively in the tree, decay accelerates, and biological pests appear. All this makes it necessary to treat the log house with an antiseptic, which should provide chemical, bacteriological and biological protection. The processing scheme for logs for bonding. The inner side of a log house is usually in favorable conditions and does not require special attention. Another thing - the bath. Their internal walls are exposed to high humidity at elevated temperatures. Under these conditions, the requirements for additional protection are also imposed on the inside of the frame. 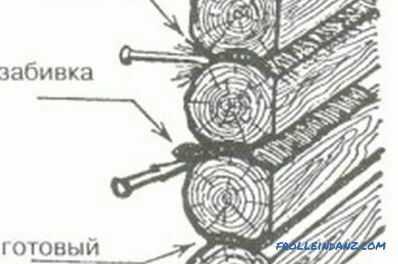 Another problem is the formation of cracks in the logs. Cracks often occur when the wood dries after wetting, especially at elevated temperatures, as well as when water freezes in microcracks. Such damage reduces the strength of the material. Additional treatment is also needed to stop the development of cracks. 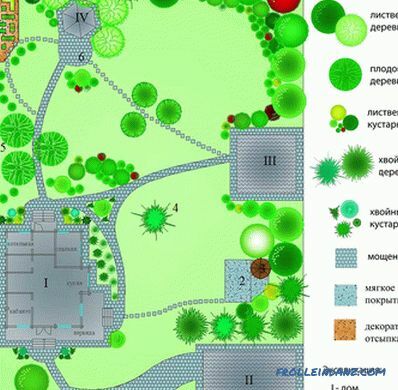 Finally, building treatment is needed to impart a specific design. 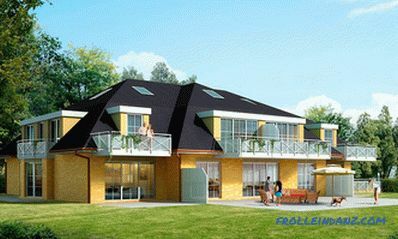 The appearance of the house or bath is important. How and with what to treat the log house? The treatment is carried out in stages, as this increases its efficiency. The first step is the polishing of the log house. Grinding allows you to solve a number of problems. Mechanical treatment of the log surface eliminates irregularities, cracks, and remnants of the bark. The treated material absorbs protection means faster, which reduces their consumption and increases efficiency. Grinding improves the appearance of the frame, emphasizes the texture of the tree. After grinding a log, it is better to absorb the primer mixture. 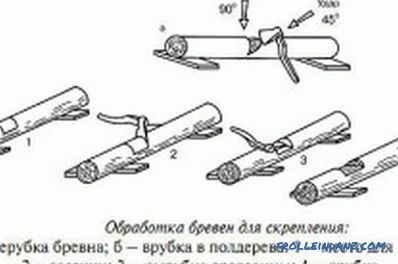 Grinding of a log house should be carried out when the surface layer of the logs dries well, and the color and texture of the tree has not changed. It is undesirable to grind a wet surface, as this leads to a burr of wood fibers, it will not be smooth. The easiest way to grind is to use a grinder with an abrasive disc. To speed up the process and improve the quality of processing, it is desirable to use a grinding machine with nozzles of different grain sizes; final cleaning of the log should be done with a fine-grained attachment. Sawdust after grinding can be removed with a vacuum cleaner. The next very important step is flame retardant treatment. This treatment is the impregnation of wood with special compounds. 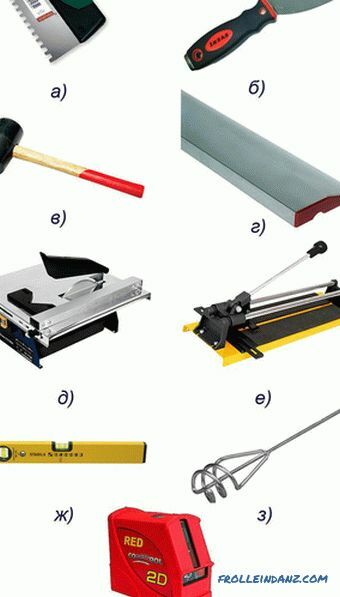 The proposed substances, as a rule, act according to the following principle: when they are exposed to high temperature or an open flame, they emit substances that form a fire-retardant foam layer. This layer stops the access of oxygen and this prevents the fire and the spread of fire. Of the common flame retardant substances, it is possible to note the composition of the type "Pyrilaks". For the treatment of the inner sides of the logs of baths and saunas, this composition of the SS-20 brand is recommended, which withstands prolonged exposure to temperatures up to 110 °. For the outer sides of the log house, you can use the compositions of the brands "3000" and "luxury". Processing logs such compositions can be made with a brush or spray. They easily penetrate into the wood (especially after grinding), therefore they have a low consumption during processing. The composition is safe for humans. Other flame retardants act in a similar way. However, many modern compounds have antiseptic properties. The easiest way to increase protection from external heat exposure is provided by creating a film of brine. But this method is not always effective and can only be used in the form of temporary protection, before impregnation using special means. 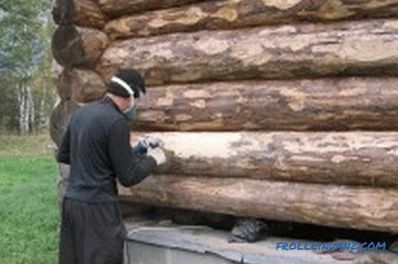 To increase the durability of log cabins, the next stage of treatment is carried out - impregnation with an antiseptic. Such processing is carried out both from the outside and from the inside. It should be remembered that the effectiveness of most antiseptics depends on the type of application. Two types of antiseptics are mainly used - washed out and hardly washed away. The first type is used only for internal walls of houses and is characterized by weak resistance to the effects of precipitation. The second type of antiseptic, as a rule, is based on the use of natural and synthetic oils. It is resistant to precipitation leaching, but has a slow drying. This antiseptic is recommended for external walls. Impregnation with an antiseptic is made with a brush or spray. To ensure uniform processing, it is recommended to apply the composition several times, i.e., in layers. The second layer is applied after the first has dried. The processing itself begins only after the logs have dried; it is not allowed in rainy weather. When using a brush, the composition is applied in even strokes with a periodic change in the direction of movement of the brush. For clarity, the process (to make sure that the entire surface has been treated) can be applied to standard formulations that are painted in a soft red or green color. If the appearance of color shades on the logs is undesirable, a translucent antiseptic composition is used. Among the common means of antiseptic treatment are compositions based on oil and wax. Oily and wax formulations were used in the old days and proved to be an effective defense. 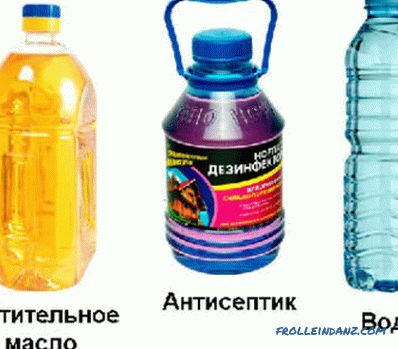 You can recommend an antiseptic type "Maslovosk", containing natural oil (usually linseed), beeswax and wood resin. The antiseptic of this type of brand "Anta" is well characterized. The use of the composition on the basis of oils makes the wood surface decorative. Of synthetic antiseptics, it should be noted the compositions "Nortex", "Neomid", "Prosept", etc. Such substances are chemically bound to wood molecules and fixed in it. For outdoor use, for example, Procept Ultra, Neomid 400 antiseptics are recommended. For internal walls, the Procept Interior, Neomid 430 are more effective. Most of the proposed modern formulations include preservatives. At the final stage, check for the presence of cracks. Significant cracks are sealed with tow, impregnated with protective compounds, and sealant. Surfaces with slight cracking are treated with standard wood-based sealant or primer. 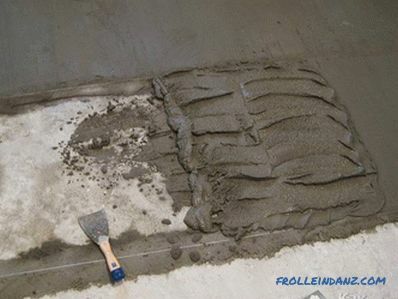 Use of dry mixes for putty is possible. Sections of seals cracks carefully treated with sandpaper. The final consolidation of all applied compositions can be accomplished by applying protective air-permeable films. Transparent water-dispersion lacquers proved to be reliable, for example, for the interior walls of the bath - North Interior Interior varnish; for external sides of the log house - "North facade". Glitter can be given using the lacquer "Valtti Satin", which also has additional antiseptic properties. Complete processing of log cabins' log houses and solving the problem, rather than processing the bath house, are quite laborious and costly tasks. However, carrying out the entire processing procedure will significantly increase the service life of your outbuilding. What is better to imbibe floor logs? How to soak floor lags: varieties of modern impregnations and "grandfathers" methods. The choice of impregnation depending on the purpose of the room. Wood treatment conditions for better lag impregnation.